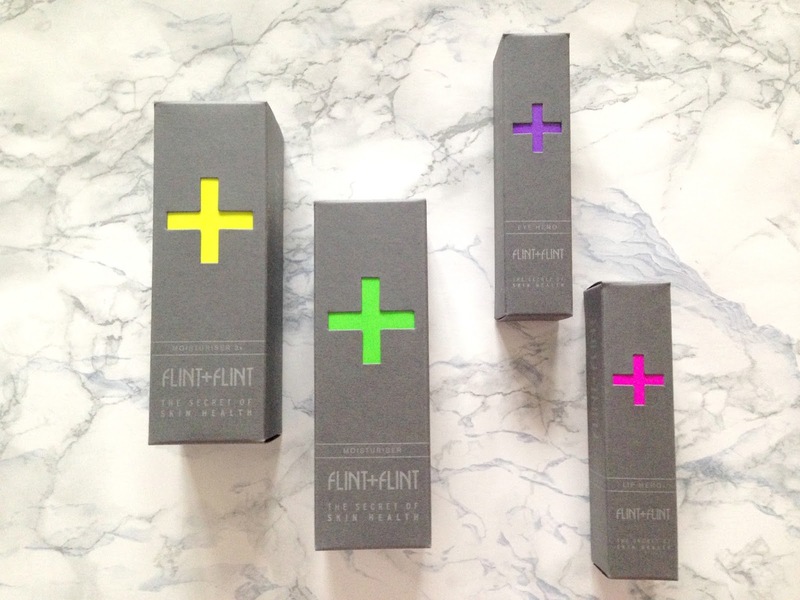 Flint + Flint is a brand that I feel is quite unique, their packaging is so striking and unlike anything I've seen before. They've created a beautiful contrast between the neon '+' symbols and the steel grey card board, it's something that makes them stand out from other brands. 'The Secret of Skin Health' is Flint + Flint's slogan, their products can be used by ANY skin type, gender or ethnicity, which I think is amazing! I was kindly sent a few products to try from the range by Beauty Crowd. I'm always reserved when asked to trial skincare as I have oily, temperamental skin but I was eager to see if these products truly were suitable for everyone. I'd actually just run out of my Boots Vitamin E eye cream as this arrived, so it was a perfect time to test. The small squeezy tube allows you to pin point a small amount under the eyes, I then use my ring finger lightly to distribute the product. It's smooth to apply and sinks in quickly, it dries quite matte so I wouldn't recommend this to anyone with super dry lids but for every day use, it's great. I can't comment on how this does on wrinkles but it does contain Silk Tree Extract, which regenerates the skin, so could be good for older skin. A girl can never have too many lip balms! This one has a strong rose scent, so I wouldn't recommend licking your lips. I do love the consistency, it's similar to a jelly. I find myself enjoying smacking my lips together, feeling the texture and really working it in. I use this at night, as I have matte moisturisers for the daytime to keep shine at bay. It's a simple moisturiser that does what it says on the tin, it doesn't leave you feeling greasy and keeps your skin hydrated. In the long term this moisturiser promises to deliver a hit of hydration, as well as protect and revitalise the skin with it's skin-shielding polysaccharides and lipids. Another moisturiser you say? Well this one has 3 times the moisturising properties, I had very dry skin on my hands and this was a god send! It's along the lines of the Elizabeth Arden 8 Hour Cream but has a more typical moisturiser consistency, it's a repair cream that boosts collagen and elastin production. I'll be keeping this on my desk for chapped skin and dry elbows. I recommend having a look at the Flint + Flint website, they have some great facts and tips under the product information section to give you an idea of the best uses of the products. They also have advice on different routines and products to use for your specific skin type, often layering or combining two products to make the most from their select skincare line. 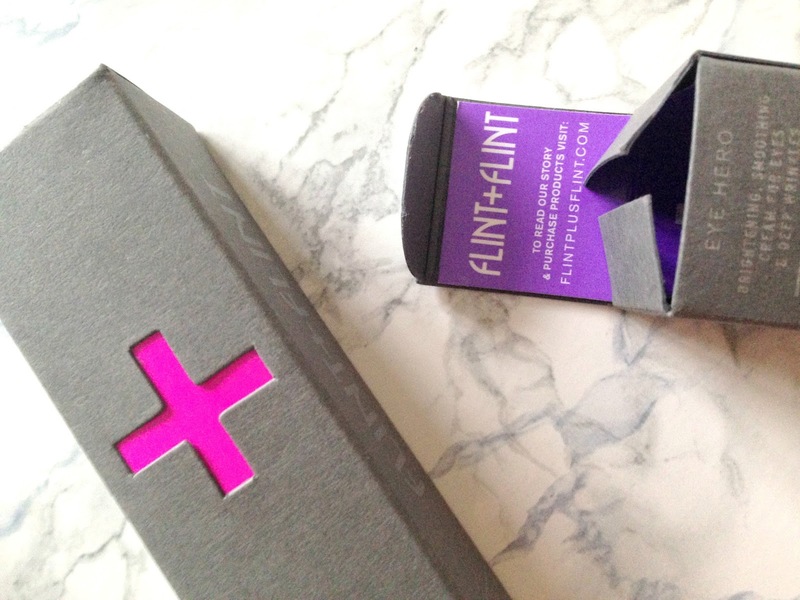 Have you tried Flint + Flint?